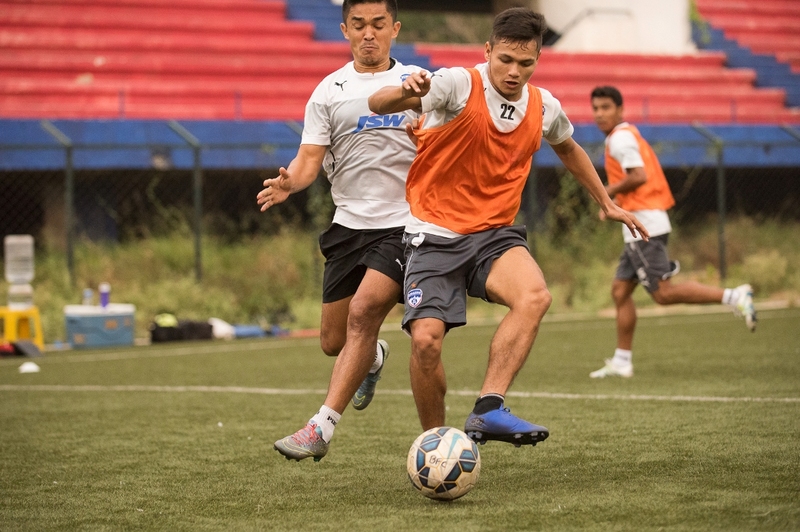 In a literal do or die situation to stay afloat in the Hero Federation Cup, Bengaluru FC host Aizwal FC tomorrow at the Sree Kanteerava Stadium. The team from Mizoram stunned the newly-crowned Hero I-League Champions in their home match on last Saturday. Aizwal FC’s existence thus far in the National scene might be for a short period of time, but Jahar Das’ boys are here to prove their mettle. Defeating teams from North-East at their home is proving thorn in flesh in the on-going Hero Federation Cup. Bengaluru FC and Kingfisher East Bengal, both high-ranked teams bite the dust against Aizwal FC and Shillong Lajong FC respectively. It is up to Ashley Westwood’s boys to make a comeback and get through to the next stage. With the away goal rule deployed in the Hero Federation Cup, it is advantage Bengaluru as they have managed to score one against Aizwal. So a 1-0 score is good enough for the Steelmen to qualify for the next round. Aizwal FC coach, Jahar Das, having years of experience working in Youth Development appeared realistic. Bengaluru gaffer seemed confident, after all his team has the reputation of coming back strongly at home. “We are at home and we got good records. Lads played very well for the first 30 minutes of the game, should have taken a 4-0 lead to be honest, but then fatigue kicked in, and we lost concentration”, said Ashley Westwood. Westwood might look for few changes or re-load the same lineup, as he feels there wasn’t much wrong in the last game. “I am sure we will create more chances tomorrow and hopefully score a few,” signs-off the gaffer. Tomorrow’s game will start at 9 pm.